Did you know microfibers from your clothes are killing our marine life? When we think of plastics, we typically think of plastic water bottles, to-go containers, or toys. But did you know that many types of fabrics and materials are also made from plastics? 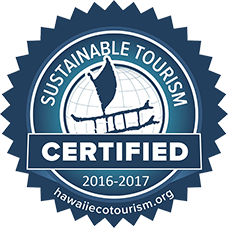 That’s right – we are often wearing plastic. Unfortunately, microfibers from synthetic textiles such as nylon, polyester, and acrylic are winding up in our oceans and food chains. One fleece jacket can shed thousands of microfibers during a single wash cycle. Polyester is one of the most common materials used to make clothes – especially outdoor gear. It’s inexpensive, dries quickly, and can come in a wide range of colors. It’s great for light weight workout wear, warm fleeces, and even nice blouses. Yet unlike natural fibers (e.g. cotton, wool, or silk), polyester fabric is constructed from long strings of plastic molecules – the same molecules used to make a single-use plastic water bottle. Synthetic microfibers are tiny threads (less than 5 millimeters in length) that are shed from synthetic fabrics like polyester. When clothing that contains synthetic microfibers is washed in a washing machine, the small fibers detach from the garment and make their way down the drain. 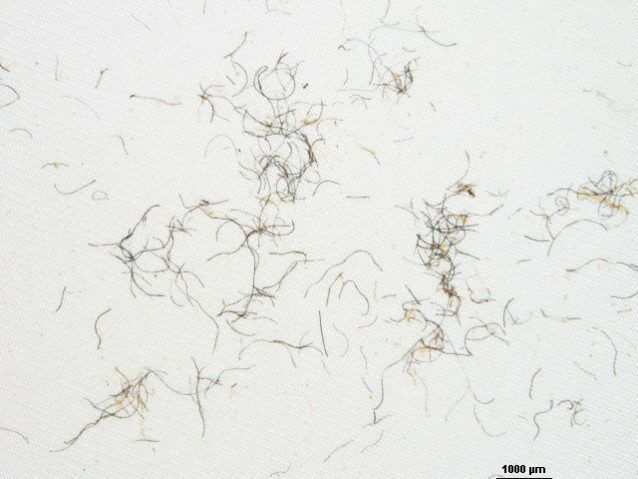 Many of these plastic fibers are too small to be captured by wastewater treatment plants. Instead, they bypass filtration systems and end up on the beach or in the ocean. According to a study from the University of California at Santa Barbara, fleece jackets release, on average, 1.7 grams of synthetic microfibers in a single wash. 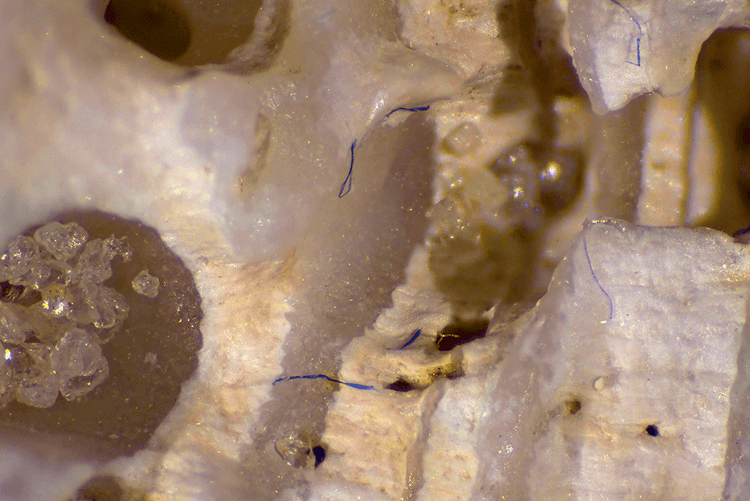 Synthetic microfibers represent 85% of the human-made debris found on shorelines. 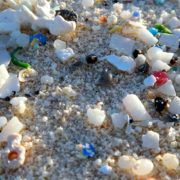 Though microfibers are many times too small to be seen with the naked eye, research has shown that they are one of the most prevalent forms of plastic debris in our environment. A 2011 study, for example, determined that microfibers represent 85% of the human-made debris found on shorelines. 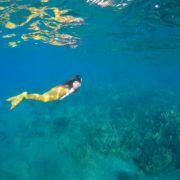 Once in the ocean, microfibers can bind with toxic chemicals. These chemical-laden fibers are then consumed by fish. This gradual uptake of toxic chemicals can concentrate high levels of poisons in large ocean predators like dolphins, sharks, and whales. Some animals can even die from the high levels of harmful chemicals that have accumulated in their bodies. Even more alarming, microfibers have been found in the stomachs of fish that we eat. 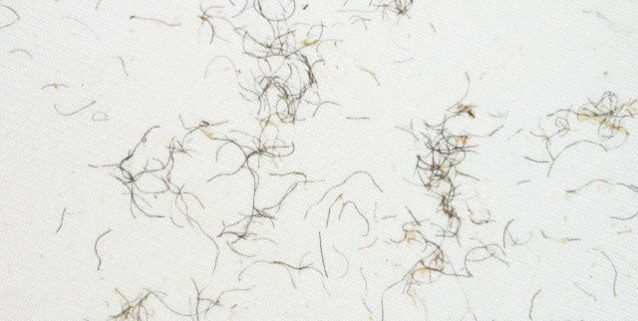 The toxins that accumulate on these microfibers are then further transferred to us humans. Despite these known impacts, the issue of synthetic microfiber pollution is still a relatively new (and unexplored) field. It wasn’t until 2015 that companies began to look more closely at the issue due to increased press coverage. Some brands, like Patagonia, launched their own investigations and are now encouraging other companies to rethink the apparel industry. 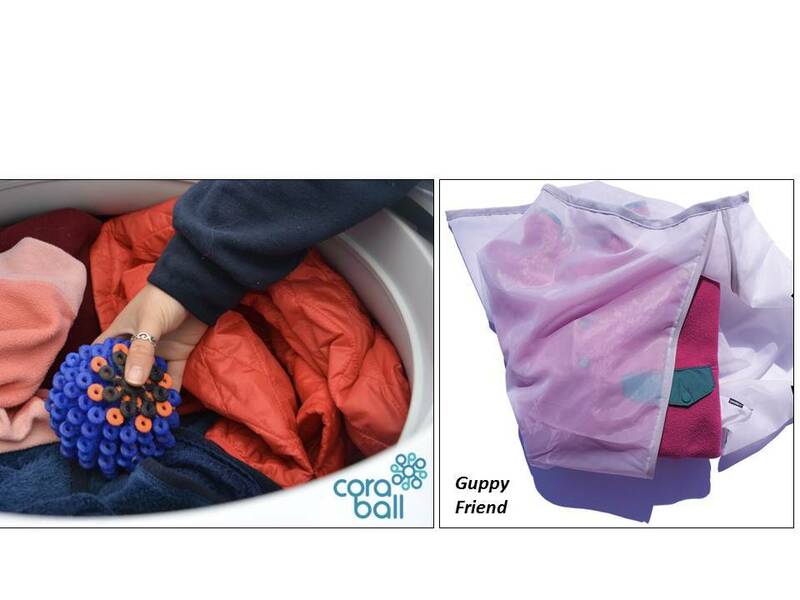 New technology – including the Cora Ball and the Guppy Friend Wash Bag – can be used during wash cycles to capture microfibers before they are washed down the drain. Properly caring for your polyester clothing can help decrease microfiber pollution. Purchase clothing made of natural materials like cotton or wool. Natural fibers that enter the environment will eventually biodegrade, but microplastics will persist forever. Buy high-quality clothing – particularly if it is made of synthetic materials. Low-quality, generic brand fleece items have been shown to shed approximately 170% more microfibers over the course of their lifespan than products made from trusted brands like Patagonia. Try to minimize how often you wash polyester or nylon clothes. If you do wash these types of garments, consider using a liquid soap. Liquid soaps won’t ‘scrub’ the clothes like powder detergents, resulting in less shedding of microfibers. Wash clothes in full loads to reduce the amount of friction between articles of clothing and decrease shedding. Use cooler wash settings. High temperatures can cause clothes to break down more quickly and release more microfibers. Buy only what you need! Many of us are guilty of buying way more clothes than we need, and each additional purchase comes with an environmental impact. Learn more about microfiber pollution by watching this short video by The Story of Stuff. Microfibers are just one example of the many ways that plastic pollution is impacting our ocean environment. 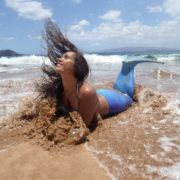 Being an educated and informed mermaid is one of the best ways to make a positive difference for our ocean environment.